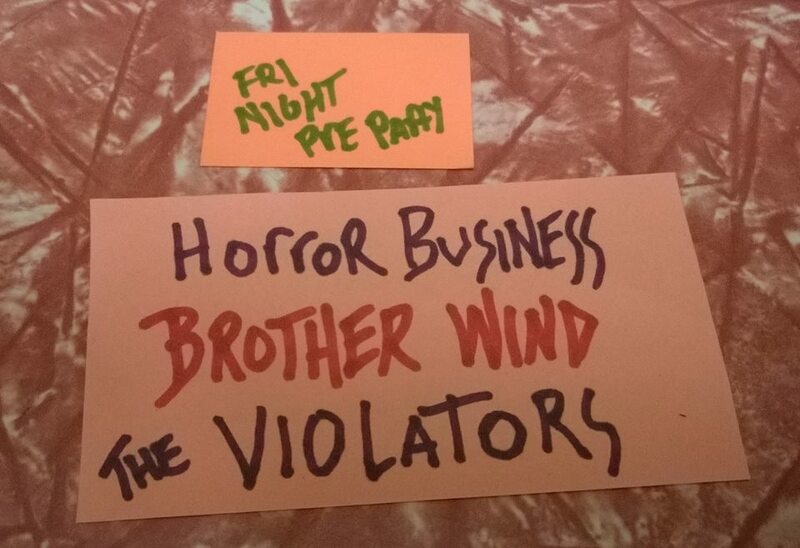 Friday 4/7 @ Bayou Bar & Saturday 4/8 @ 1890 Screen and Stitch! 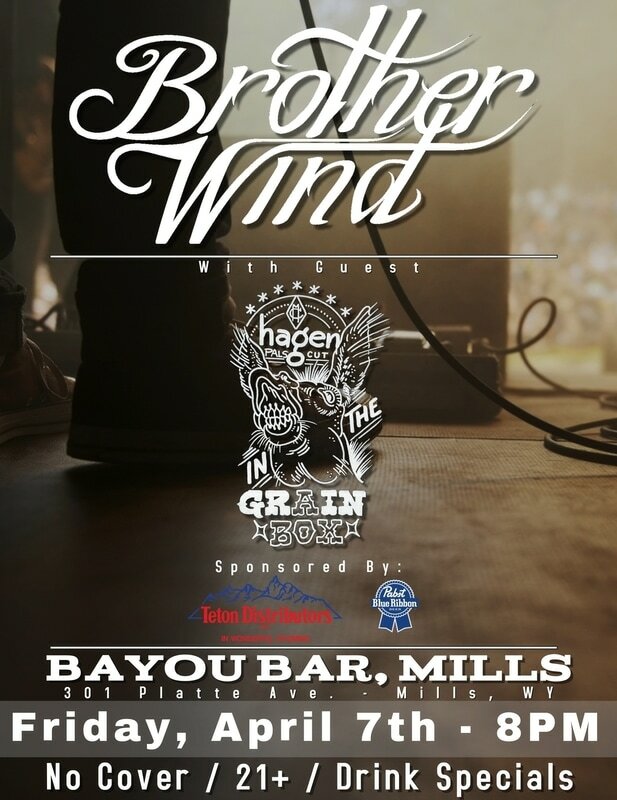 We're super excited to be playing with our pals from Hagen in the Grain Box at the Bayou Bar in Mills with Pabst Blue Ribbon specials brought to you by our pals at Teton Distributors! 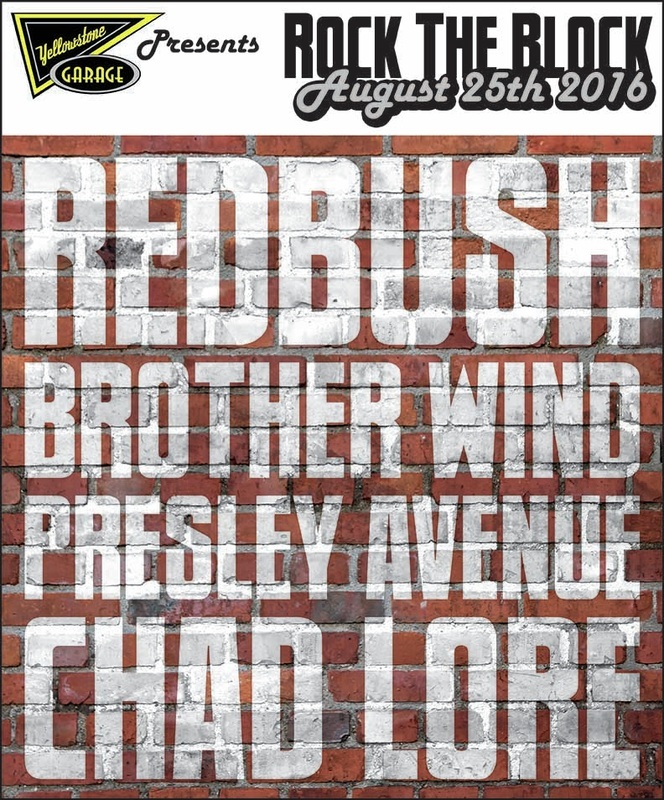 This will be a dang good time, you won't want to miss it! 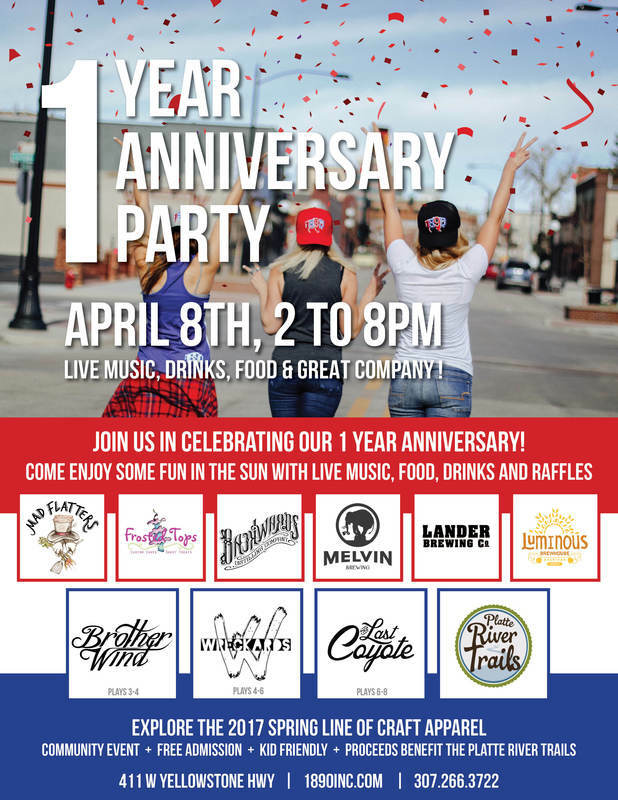 This is going to be one hell of a party with Wyoming Beer & Liquor from Backwards Distilling Company, Lander Brewing Company, Melvin Brewing, and Luminous Brewhouse, food fare from Mad Flatters and Frosted Tops, raffles, and more, all to support Platte River Trails! BW is back in 2017 with California Cousins @ Sonic Rainbow - Feb 1st - 7pm! 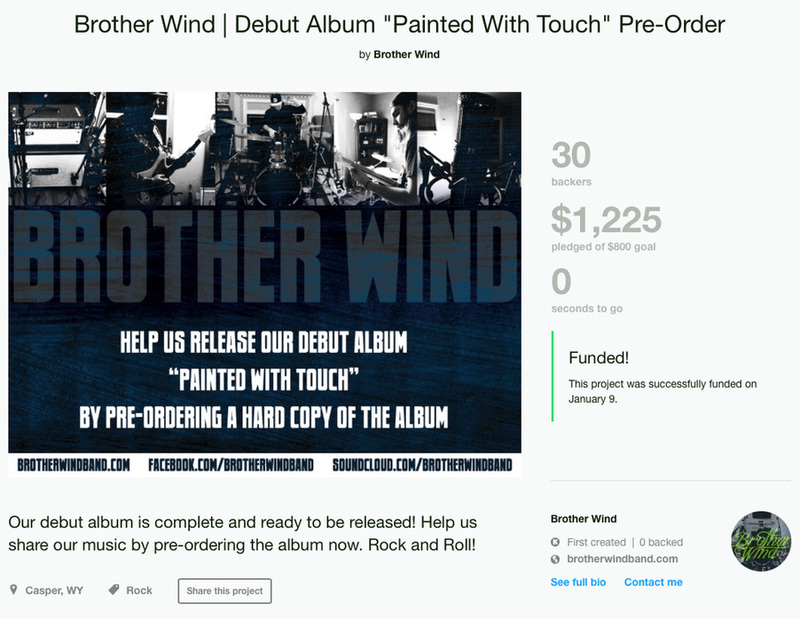 Brother Wind is back in 2017 with brand new music! 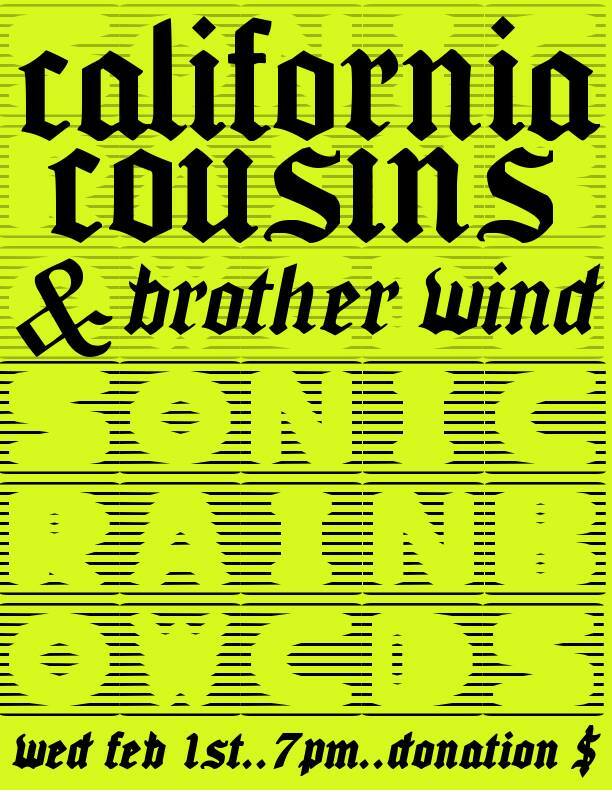 Come out to everyone's favorite local record store Sonic Rainbow CD's on Wednesday February 1st at 7pm and support touring band California Cousins from Rochester, NY, as well as the debut of brand new music by Casper's own Brother Wind! 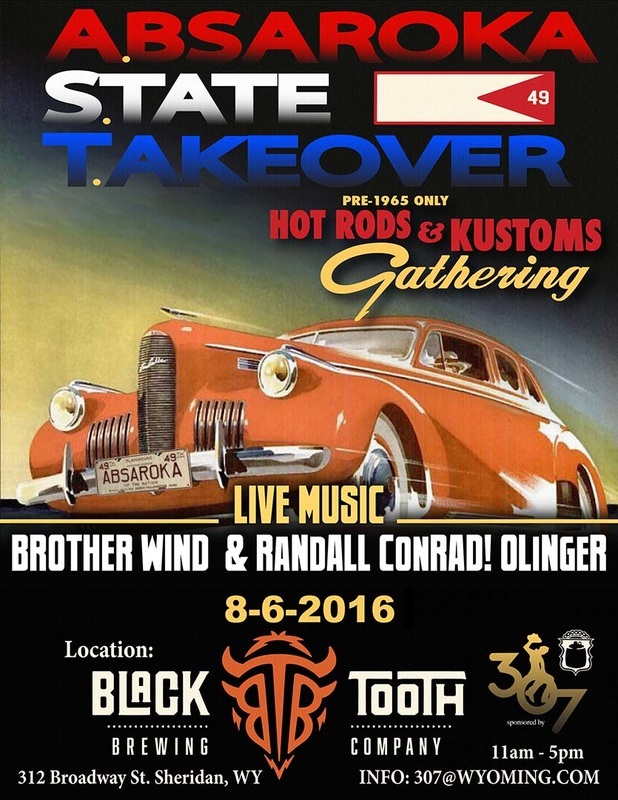 Brother Wind @ Black Gold Grille in Casper on June 21, 2016! 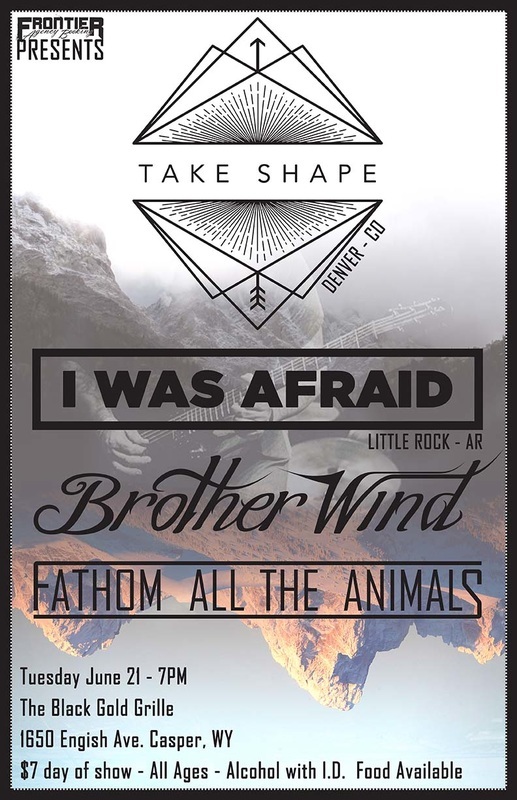 We are very excited to be sharing the stage with Take Shape (Denver, CO), I Was Afraid (Little Rock, AR), and Fathom All The Animals (Casper, WY/Fort Collins, CO) at the Black Gold Grille in Casper on Tuesday June 21, 2016! This is a weekday show and we are going to need your help to show good support for the touring bands, so please share this, tag a friend, and we'll see you on June 21st! 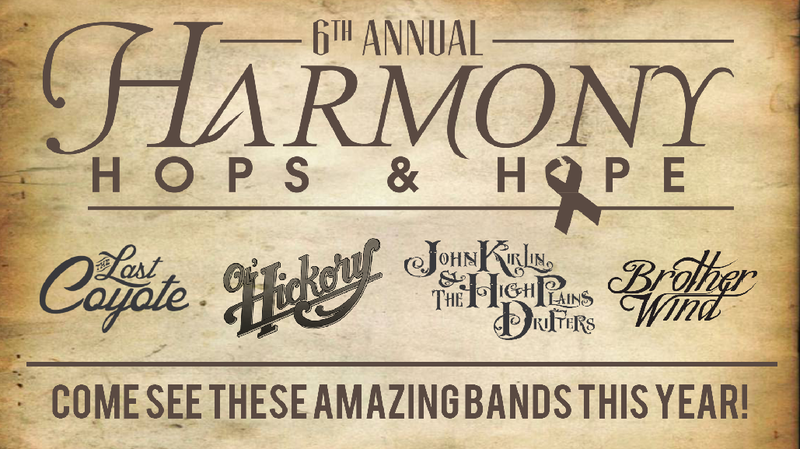 BW live at Harmony, Hops & Hope! Grab your tickets HERE and save $10 off the day-of-show price. See you in a few weeks! 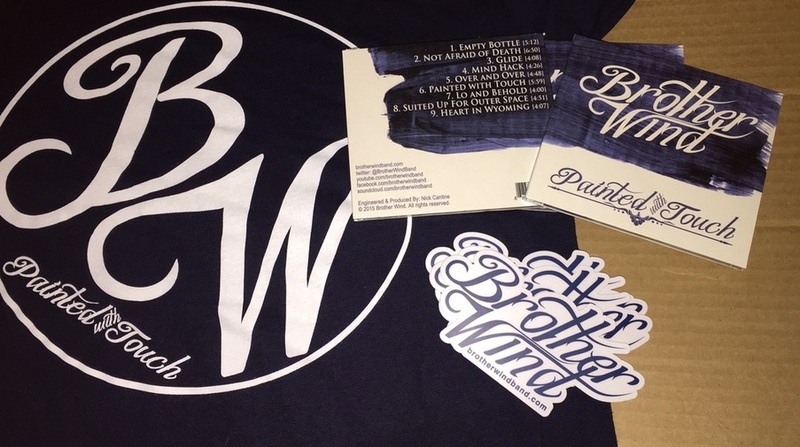 BW Live @ The Attic for Record Store Day 2016! We've been through a lot since we started this band 3 years ago and we are SUPER excited to finally be playing live shows! We want to thank all of our friends and family for the support we have received over the past few years, and we can't wait to ROCK for all of you soon! 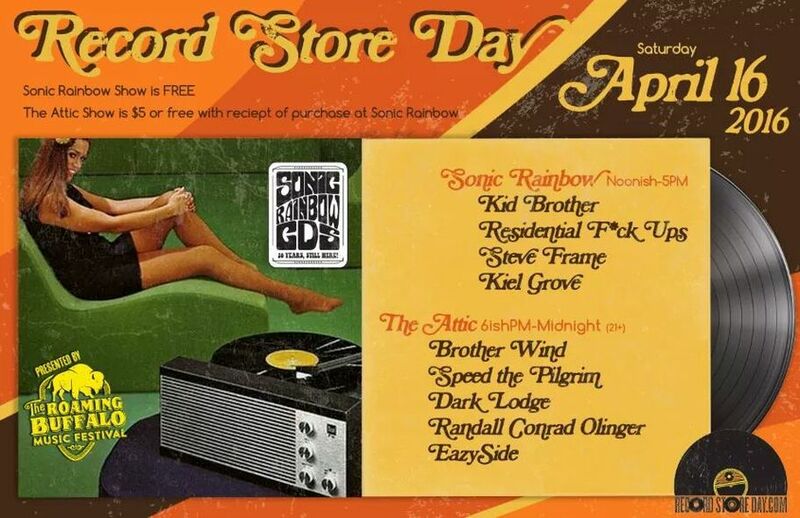 Brother Wind will be playing at The Attic (above the Wonder Bar) for Sonic Rainbow CD's Record Store Day 2016 official after party! The after party will be free admission (21+) with a receipt from Sonic Rainbow dated 4-16-16. ​Sonic Rainbow is an absolute institution when it comes to the Casper music scene and without Jude, Don, and Tom many of us Casper folk may have never even heard of the majority of bands that makeup our given music collections, let alone had the opportunity to shop for their records and merchandise in such a friendly and welcoming atmosphere. It is for this very reason that we are so excited to play Record Store Day and give back to the place that literally started it all! "Painted with Touch" live at Cohere Bandwidth in Fort Collins! Pre-orders are in the mail! Kickstarter Campaign is over, thanks for all the support! 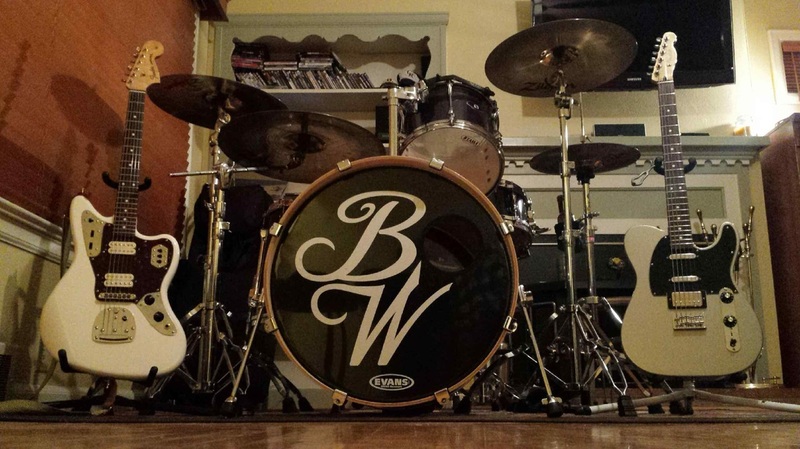 Brother Wind is ​a Rock & Roll trio based out of Casper, Wyoming. ​The group was formed in the summer of 2013, releasing their debut full length album “Painted with Touch” in February of 2015.